Windy has been having questionable cravings. Windy has developed a fascination with all things wiggly. The sporadic rain means plenty of visible worms. When we take all the furkids on walks, Windy has started pay more attention to the ground. If we are not watching her, she will pounce on a worm and start to eat it. One of the joys of pet ownership: pulling a squishy worm out of your dog’s mouth. Yesterday we came upon a baby garden snake. Washed down the curb from the recent rain, the skinny, six-inch critter excited Windy like a Kroger rotisserie chicken on the kitchen counter. My husband snatched the reptile and tossed it into a vacant lot. My solution was to scoop up Windy and run. Jake and Hope, who is to get chemotherapy today and is doing well, probably thought we were overreacting. Dead worms, too, have an attraction. Windy tries to roll on them. “Eau de worm” must smell like Chanel No. 5 to dogs. 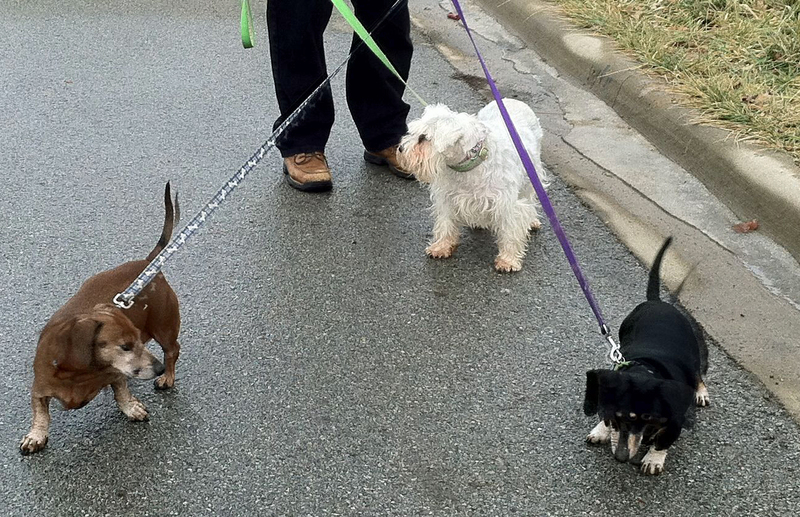 Jake, Hope and Windy enjoy a walk between the rains. 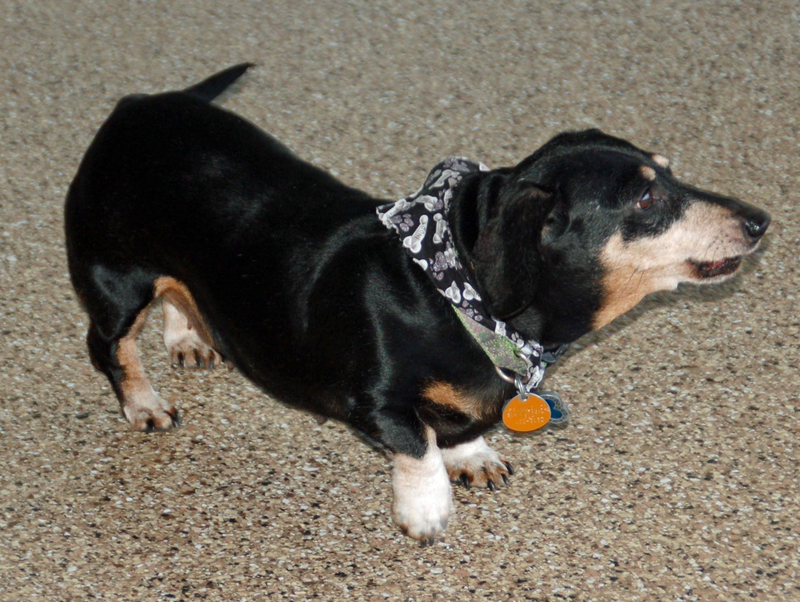 This entry was posted in Dachshunds, Dog Behavior, Schnauzers and tagged Dachshunds, Dog Behavior, Schnauzers, Walking, Walks. Bookmark the permalink.